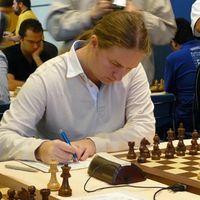 Expectations in Russia, scandals in Romania, hopes in Namibia, and news from Mongolia, all this going mainstream before the Chess Olympiad 2010. The Olympiad is starting in 4 days, with on the spot commentary by Blue Gene super computer, Stockfish analysis at Chessdom Chessbomb live games platform, live commentary by IM Ipatov, GM Bauer, IM Perunovic, and invited guests at Chessdom.com. The local team of Yugra have high ambitions not only for the Olympiad, but the European Club Cup as well. 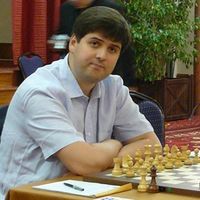 With GM Jakovenko Dmitry 2726, GM Malakhov Vladimir 2725, GM Motylev Alexander 2694, GM Rublevsky Sergei 2683, GM Landa Konstantin 2611, GM Sjugirov Sanan 2627, GM Kabanov Nikolai 2500, and IM Pridorozhni Aleksei 2556 they are the 6th seeded team at the competition and will be looking for a medal. All ECC 2010 teams here. At the Olympiad Yugra will play with GM Jakovenko Dmitry 2726, GM Motylev Alexander 2694, GM Rublevsky Sergei, GM Kabanov Nikolai 2500, and IM Pridorozhni Aleksei 2556. A scandal errupted in Romania just a few days before the Chess Olympiad. Liviu-Dieter Nisipeanu, Andrei Istratescu, Constantin Lupulescu, Mircea Parligras and Vladislav Nevednichy have decided to skip the event due to a financial dispute. More about the conflict will be published later, there is a document in Romanian on the federation website. The Romania men team were 18th seeded at the Olympiad, with average ELO 2633, which gave them high hopes for top 10 finish. Also, they were considered one of the most dangerous teams to play with, able to spoil the medal hopes of any opponent. Still, the country will be represented by a women team – Elena-Luminita Cosma, Cristina-Adela Foisor, Alina L’Ami, Iozefina Paulet and Carmen Voicu-Jagodzinsky. Mainstream media in Namibia is excited that the country chess team will feature national colors in Khanty Mansiysk. A team of five players will represent Namibia at the 39th Chess Olympiad scheduled to be held in Khaty-Mansiysk, Russia from 20 September to 4 October. Max Nitzborn, President of the Namibia Chess Federation (NCF) said that it was the first time that a team was leaving the country to compete with official national colours. “We registered chess for the first time as a sport in 2005 and today for the first time we receive national colours for international participation,” Nitzborn said, speaking at the National Sports Commission. The team was selected at the National Chess Championship held earlier this year in April in Windhoek. 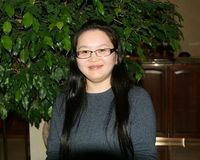 “All the top chess players were there and then we selected the top five players from that event,” Nitzborn said. The team consists of Leonhard Meuller, Max Nitzborn (team captain), Otto Nakapunda, Charles Eichab and Simon Shidolo as the reserve. The team will travel without a team manager due to financial constraints. “Ideally we would like to travel with a manager, but this year we are unable to do that,” he added. One of the participants going to Russia, Charles Eichab was very confident about the team’s chances. “We have a very good team now with a mix that includes up and coming players,” Eichab said. “We have the capacity to top the category we are in which has between 30 to 40 countries competing. Last time we missed out on the category gold medal by just one point in Dresden,” Eichab continued. Namibia is ranked 102 out of 160 nations on the World Chess Federation (FIDE) rankings and are eighth on the African continent. They are behind Egypt (48), Algeria (82), South Africa (83), Zimbabwe (84), Tunisia (86), Angola (94), and Uganda (101). Namibia will be playing in the Category 5/E. 5 WCM Otgonjargal Sengeravdan 2143. 5 GM Khatanbaatar Bazar 2392.